Thank you for your interest in the Asian Pacific American Studies Program! 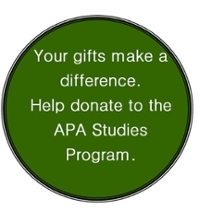 The APA Studies Program was founded in 2004, after 20 years of student and faculty/staff advocacy. Our program offers undergraduate courses and an undergraduate minor in Asian Pacific American Studies to promote a broad understanding of the histories, cultures, and contemporary concerns of diverse Asian Pacific American peoples in the US and the Asian Diaspora. The program is also a vibrant, active center for all members of the MSU community interested in the experiences of Asian Pacific Americans. SUMMER 2019: A number of online offerings. Check out our promotional video for Asian Pacific American Studies! Listen to fellow Spartans talk about their experiences and why YOU should consider the minor! Why minor in APA Studies? The Minor in APA Studies is available to all students enrolled in bachelor’s degree programs at MSU. Students who minor in APA Studies develop a deeper understanding of themselves, Asians in the US and the diaspora, and how this knowledge can shape their lives within and beyond their chosen major of study. Many of our alums have gone on to be leaders in higher education, law firms, non-profit organizations, and continue to be advocates for our communities! View this excellent promotional video from Northwestern University on the importance of minoring in Asian American Studies and sign up for an Asian Pacific American Studies MINOR at Michigan State University! !